'65 Mustang Convertible. Restored. Auto, A/C, P/S, P/B. 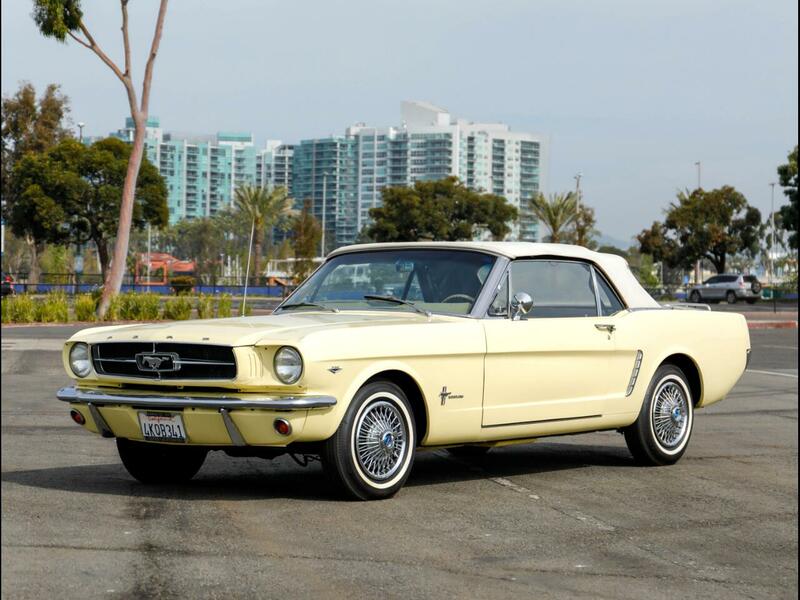 Chequered Flag International is pleased to offer this 1965 Ford Mustang V8 Convertible C Code. Automatic with Air conditioning, power steering, power brakes, power top and center console. San Jose built and sold new in Phoenix. Restored 8 years or so ago in its original colors of Springtime Yellow (8) with Palamino (29) interior. See Mustang decoder below. Fantastic condition. Great body and paint. with only a few small marks. Nice interior and top. Mechanically sound and a delight to drive. Mustangs are great mid ‘60's American cars because they are a very manageable size and weight, have great power & have a plentiful supply of affordable parts. Add A/C, power brakes, steering and top, and you have a very user friendly classic. Inspections encouraged. All sales AS-IS. Sales tax and license fees due if delivered in California.